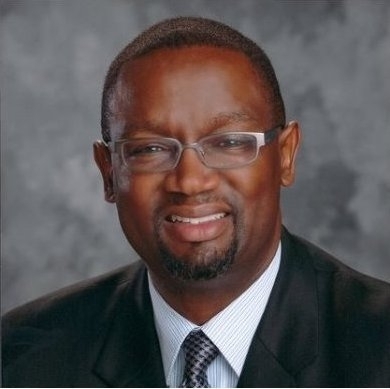 Steven McCullogh is President and CEO of Bethel New Life, a faith-based (Lutheran) community development corporation in Chicago that has played a leadership role in implementing transit- oriented development and green building into its community work. Since 1979, Bethel New Life has played an important role in redeveloping Chicago’s Westside, with a focus on Chicago’s Garfield and Austin neighborhoods. To date, Bethel has helped bring $110 million of investment into Chicago Westside, placed over 7,000 brought into people in living-wage jobs, and developed over 1,000 units of affordable housing. But Bethel is perhaps best known for its transit-oriented development work, which combines energy efficient homes, brownfield redevelopment, schools, shopping, and jobs in a combined and mutually reinforcing effort. McCullogh became Chief Operating Officer of Bethel in 2001 and became President and CEO in 2005, succeeding Founding President Mary Nelson, who stepped down after 26 years. McCullogh thus forms a part of a “new generation” of CDC leadership that is gradually taking the reins of the CDC movement, as the initial founding generation retires. What were the origins of Bethel New Life? How has the organization’s relationship to the community from which it emerged evolved over time? The organization started out of the Lutheran Church 30 years ago. It started with members of the congregation seeing the deterioration of the housing market and housing stock in West Garfield Park and deciding to make an investment in rehabbing a 3-unit building. That is how the organization began as a church ministry. It grew from there and then it got into employment services. They weren’t able to rent or own a home without having residents who were gainfully employed. So the organization grew by filling gaps where the public sector and private sector were not present. That includes a lot of services and coordinated efforts that require real focus and attention the church can provide. The original capitalization was $9,000. Today we have a $13.5 million budget, with 250 staff in the organization. Does Bethel own the facilities it develops? What are its asset holdings? We have about $40 million in assets. That includes three independent living facilities, assisted living facilities, and different program sites. We own those facilities as well. Does Bethel generate income from rent revenue on the buildings it owns? We do. Not on all of our property, but we do generate rent income from the people we lease to – — churches, nonprofits, for-profit businesses – things like that. You started your career in the private sector but then moved into community development. What prompted you to make this shift? Throughout my career, I have always been doing work in the community, whether on a volunteer basis or as a paid staff person. The motivation was always there. At the point that I decided to shift, I just wanted to apply my knowledge and skills to a productive use that would impact people’s lives – I worked for Quaker Oats for eight years and then did consulting for Accenture, but I just felt that helping people produce products wasn’t where my spirit was at. I wanted to have a direct impact on people and community. The opportunity to switch career tracks came at a perfect point in time – I hadn’t bought a big car or a big house. I didn’t have the trappings that would keep you in a corporate lifestyle. So it came at a point where I said to myself it was either now or I would forever hold my peace. In a summer 2006 letter that you placed on Bethel’s website, you note that in your first year as Bethel’s president, the organization developed “a new mission statement, board members, bylaws, and staff.” That sounds like a lot of change. Could you give some of the background as to why a new direction was needed at that time? A couple of things: first of all, I succeeded the founder. Mary is very much a part of Bethel and remains very active doing consulting work and things like that. Mary is extremely entrepreneurial. I’m much more process oriented and operational by nature. So I felt I needed to make sure we have a really good engine that wasn’t centered on an entrepreneurial framework. I am more of a person that wants to have a structure and process and know we are producing the outcomes we are committed to. A lot of that push to change was to really narrow the focus of the organization and provide a framework of here’s where we need to operate effectively from a governance perspective and staff perspective. That involved a big culture shift in the organization. While all of this change was happening we were going through personnel changes –the board was changing at the same time. We decided to take that year and do our best to transform the organization to a model that could be effective without Mary as the lead. In particular, you mention that cuts were made in cultural arts programming and multi- family rental property management. Nonprofits are not always known for their ability to cut programs that are not working, so can you discuss what problems Bethel faced at the time and the impact of the changes you made. I have a couple more to add to that list. There are other areas we have transitioned out of over the last two years – we got out of doing Head Start programming. This past summer we got out of supportive housing. In both, we found a partner organization to take on responsibility for the programs and kept services in the community. But the change has created a lot of internal angst in the organization. Here’s the thing with Bethel – we are the largest CDC in the area. We are the only true CDC in the area that also does service programming. It is difficult to do service programming when you’re constantly under-funded. Government doesn’t pay the full cost. Over the last three-to-four years, a lot of our unrestricted dollars came from housing. That money largely went away. We have declining donations and earned income. The programs that we chose to exit were always subsidized programs. We always had to put additional resources over and above the main sources, because we wanted to make sure we were producing a quality product. When the economic crisis hit, our ability to generate unrestricted dollars also took a hit. These are programs that are well regarded and a lot of Board members are tied to them emotionally. A lot of our staff members are also tied to them emotionally. But it was necessary to keep the organization as a whole on solid ground. From July 2005 to today, we’ve dropped about $4 million in programming. As a result of that, we are much more stable. We don’t have to subsidize so many programs. But it wasn’t easy or popular. Being more forward looking, could you discuss Bethel’s current strategic plan and the community of choice framework that you use? As I understand Bethel’s strategic plan, Bethel has chosen to focus on three key issues—housing, education, and wealth building — and work in four central areas—workforce development, investment, asset building, and asset retention—to advance on those issues. How does this work in practice and what progress do you see Bethel as having made? We just had our strategic planning retreat. We wanted to respond and be responsive to the economic crisis. We just had our retreat this September, from which we will develop our next strategic plan. When reviewing our current strategic plan, I think we were successful – out of that came some good stuff. We really beefed up our foreclosure prevention work. We are really providing good resources to residents who are challenged in terms of their ability to be homeowners. We also have developed our Community Savings Center, in partnership with Park National Bank and Thrivent Financial for Lutherans, to offer banking products that are cheaper and more accessible than mainstream banking. We have the largest matched savings account in the state. So, on the wealth building aspect, we did really well. In terms of education, we also did really well. We have staff embedded in one elementary school and one high school. We are doing after-school programming and mentorship. We have an alumni program working with families and students in financial aid packages and retention in college. The only area that has been really challenging is housing. With the economy and the housing market, we really weren’t able to produce what we wanted to with that particular strategy. But it allowed us to reframe and take a run on it in a different way. Our work now centers on making sure that properties don’t get abandoned and become blight on the neighborhoods that we work in. It’s a mixed blessing. It’s unfortunate that a housing market took that turn for the worse. But it has also allowed us to be even more engaged as an organization in the community. What are the demographics of the neighborhoods you work in? We work mainly in two communities: Austin and Garfield Park. Garfield Park has 40-50,000 residents and Austin has 120,000. Both are predominately African American (about 90 percent), but with a growing Latino population, which right now is at about eight percent. The last two percent is everyone else. The age breakdown is interesting. We have a huge elder population and a huge youth population and a small adult population in the middle. Unemployment was 12 percent in 2007, back when the city average was about eight percent. Both have since gone up. In terms of education, we’re below city average in graduation rate and above the city average in terms of truancy. Overall, as a community we have the highest rate of recidivism in the state. There is a high level of crime and high gang activity. But the other interesting thing is that over the past ten years we’ve seen a growing middle class. Looking at income there has been a shrinking of the low-income population and a rise in the middle-income population. It’s about a 10 percentage-point swing, which is significant. Could you discuss Bethel’s work with ex-offenders? About six years ago, we started to do specific work with folks coming out of prison. We called it, “Welcome Home” – we give them a paid internship to work within Bethel in various capacities (facilities, administration, food service) – every area that is not sensitive to having a record. We give them a two-month paid internship and at the same time they are getting work experience and full time job search and hopefully at the end they get gainful employment. Every 6-8 weeks we bring in a new class and put them through the same process. We’ve been able to hire quite a few ourselves – I can’t even count how many – and we’ve been able to place others into other workplaces. The most difficult thing to do is to get a job when you don’t have one. So that’s the goal: put people in a position of strength. Give them a track record. We’re looking to expand that. We want to do more and bring on more employers—and just be able to do more. Bethel, of course, is known for its work in transit-oriented development and green building and, in particular, the Bethel Center and Beth Anne Center projects. Can you discuss these projects? Also, more broadly, how and why did transit-oriented development and green building become a priority for Bethel? Transit Agency) expected, although it was still very much in use. The administration of CTA wanted to shut it down. Bethel and the local government – namely, the closest suburbs (Oak Park and River Forest) came together in a coalition to save the green line from being dismantled. Out of that, there was a need to demonstrate that this line could not only sustain itself, but that it could thrive. As a community, this came out of a community effort, there was a decision to design a project that showed that residents in the city and the suburbs do use this line, that the green line not only provided access to transportation but could serve as a building block for the local economy. The Bethel Center came out of that – it took over 10 years from initial concept to actual opening. The reason for that was mainly because we had to justify the market – that is, we had to demonstrate that there was a market that wanted and needed various types of services. That was one factor. The other was that government and private sector were not going to make that investment. It was sited on a huge brownfield. Bethel never had enough money. It took 10 years but we were able to do it. We used state money, federal money, and New Markets tax credits — over time we just put it together. So we finished construction 2005 and opened the doors in 2006, and it really is an example of the community’s effort to revitalize its main source of public transportation and use that as a tool to attract families to use transit and keeps cars off the street. The other way it anchors the community is that within the center there are a lot of services — we have the Community Savings Center, a branch of the attorney general’s office, a child care center, a dry cleaner, a coffee shop, an employment center, and a community technology center – these were things that were missing in the community that people wanted to bring back. The green technology was laid on top of that. When we did the Bethel Center and subsequently all of other construction, it came out of a mindset that we need to find ways to lower the cost of living so we could have housing and businesses be more accessible to what we built. One of the ways to do that is to incorporate green technology in your construction. When we built the Bethel Center, it was a LEED (Leadership in Energy and Environmental Design) Gold-certified building. We were one of the first and we paid a premium for that. None of the contractors knew exactly what they were doing – they had these concepts, but they hadn’t been market tested. Looking back ... I’m not sure if it was worth pursing a Gold certification – at the time, being a first mover, you pay a price for that. How have achievements in “green” development assisted Bethel to meet its community development objectives? A couple of ways: one is that we want to demonstrate that this kind of development can be done in very-low income communities. I think we’ve been able to demonstrate that. I also think we can demonstrate to residents that using green technology can really save you money on your monthly utilities. When we do housing development, one of our points is you’re not only looking at your price point, but at how much of your monthly budget is going to go to utilities. I think we have made a difference in that regard. Although we haven’t gotten to scale, we also demonstrate that jobs have been created around the maintenance and construction of green buildings. It’s a viable opportunity that is now at our feet, where we can take advantage of putting people to work on green projects. Bethel has worked with both DePaul’s Chaddick Institute for Metropolitan Development and the Center for Urban Research and Learning at Loyola? Can you describe the partnerships you’ve developed? How effective have they been? Universities play a big role. Not only do they help with the evaluation of programs, but they also help us design and implement new programming. The work with DePaul involves trying to work with youth – leading community change. We are engaging youth in visioning what their community would look like and really instilling a sense of ownership and leadership in the community from that perspective — and that’s been effective. CURL (Center for Urban Research and Learning) has been in and out of various programs. Most recently they worked on our designing curriculum for what was then our head start staff. They helped us identify training needs and link resources to us. They also do a lot of research that we use relative to housing and they are always a source of interns and post-graduate employment as well. That connection is strong. Not only with DePaul and Loyola, but Northwestern as well. One feature of Bethel that is particularly impressive is Bethel’s high use of volunteers. How has Bethel been able to achieve and maintain this high level of volunteer involvement? We do have a lot of volunteers. We have about 11-12,000 volunteer-hours. What that means is it could be a project over a weekend or an extended project. We come out of a church – we’re a church-based organization. Out of the Lutheran Church, we are connected with Lutheran churches across the country and particularly in the Chicago region there is always one big project going on. The other source of volunteers is the corporate based – either directly or through the United Way. You mentioned that Bethel had the largest IDA (individual development account) program in the state. How large is it and how do you integrate matched savings programs into your broader wealth building objectives? We have 425 matched accounts and we’re constantly doing financial literacy training as well. We try to develop a pipeline of people to buy a home, start a business, or begin a college education. It is also tied into to our housing development and rehabilitation work and matching families to those opportunities. The one area that we haven’t gone deep in is small business development and that has been a high area of interest, so we partner with small business development centers to support these entrepreneurs. Could you talk a little about the work that Bethel has done in community organizing, such as policy work and voter registration? More broadly, how do you balance community organizing and community development? Community organizing is really about community block organizing and outreach to institutions, like the police. So that’s about what works. We work block-by-block, beat-by-beat, connecting police to residents in the community identifying trouble issues and working to resolve them. And we do the same thing with schools. So community organizing is more a relationship-building piece and bridge piece than organizing toward a political end. That fits into everything else we do. Without that grounding framework, we would have a much more difficult time getting our programs out in the community and making sure they are successful and people take advantage of them. We also do voter registration. That’s another way to connect to institutions. There is a big gap tp cover to connect community members to politicians, whether it is at the city, state, or federal level. And gaining access for our community – providing a voice to politicians is important. We are also working on the census and designing it to make sure that we get everyone counted. Could you talk about the sustainability of Bethel itself? How does it successfully raise funds to maintain its operations? To what degree does earned income help Bethel? About 60% of our budget is government based, about 20% is from corporations and foundations, about 10% is individual and church contributions, and about 10% is earned income. We definitely want to see less dependency on government revenue and a bigger part from individual and church income and earned income. That’s the work. We have to make sure that we are not biting off expenses when we do programming and make sure we get the most revenue from what the funder requires and what we require. Shifting gears and thinking nationally, obviously there has been tremendous growth in CDCs and the community wealth building movement more generally since Bethel New Life was founded in 1979. What do you see as most important changes brought about by the growth of CDCs? At a national level, CDCs have become kind of like their own industry. The value they have brought to the national conversation is a voice for low-income neighborhoods that 30 years ago were abandoned and under-resourced, under-developed and neglected. What CDCs have done as a whole is bring some local stability in terms of investments in housing and jobs and retail to communities that would never have gotten them. Especially inner city, but also in rural communities, CDCs have made a difference in bringing in dollars that wouldn’t have come otherwise. They have been catalytic in their impact. The future – now everyone has woken up and seen the value in a revitalized inner city and are starting to make those investments, the role of a CDC is evolving. It is always evolving. The other thing CDCs have brought is their innovation — both in the types of projects they take on as well as financing. CDCs structure government and private source revenue and make those projects work. CDCs have brought a wave of innovation that never would have otherwise existed. Those are a couple of things. This has happened for the past 30 years, but especially the past ten. Financial institutions and banks look to CDCs to be their advance team in terms of market development. Once CDCs can demonstrate the market is a viable one, you tend to see additional investment from banks. It could lead to gentrification in some areas, but if done well it could lead to stabilization of a local economy. That’s the good that comes out of a CDC. It’s what a CDC that is really focused on building up residents and assets in a community can do. For Bethel, what impact has the federal government had for your work? The past decade has seen federal cuts, but now there are potential new funding streams. For the most part, the new funding has yet to be seen. On the upside, there is a huge potential for investment that CDCs could potentially take advantage of. The whole green technology policy thrust and green investments are welcome and need to be part of the future for CDCs to be in that kind of work. The challenge with that, from my perspective, is that I have yet to see the market for green development actually take off yet. You have the training programs, but the jobs aren’t really there yet. Are there jobs at the end of the rainbow? Are there actual projects that create the number and scale of jobs that are needed? Or that put the economy in the direction that the Obama administration wants in terms of green infrastructure? In the past, we’ve seen efforts to promote CDCs in the government. Bush’s faith-based initiatives weren’t really new money, but a re-framing. I have that the same type of skepticism about where we are at today. It is way too early to judge. For CDCs, right now, it’s great in terms of visibility and exposure. But, at the end of the day, there is very little in terms of resources being dedicated to the work that is being done. At Bethel, we’ve been able to work with federal officials to get money, but a lot of that is an exception to the rule. We’re in a big “let’s wait and see” time. Let’s see from a federal perspective how the administration is moving forward and how Obama’s ideas of investment in the inner city are going to play out in terms of investment in transit-oriented development and greening of the nation. I’m very encouraged that some of the departments are talking to each other and doing joint planning to move forward. I am looking forward to see proposals that actually put money out on the street and make it accessible for CDCs to invest in neighborhoods. I also hope the Administration will encourage private sector investment. CDCs do not work in isolation, but with government and the private sector. When there is an absence of one, CDCs don’t invest as effectively. Another area, federal financial deregulation, has led to the rise of a predatory lending industry that strips away the assets and wealth that community development groups try to build. How has the Chicago Westside and the community Bethel serves been affected by the foreclosure crisis? It’s been very devastating. We’ve seen a huge spike. We’re a HUD-certified counseling agency and we see quite a bit of situations where families are in foreclosure or at the brink. The challenge is identifying who actually owns the property – the loans have been packaged and repackaged so often that is hard to find who is the loan servicer and who you can actually talk to. If you can get that cleaned up, that would help. Another related challenge is that we’re in a market with declining home values. It adds even more difficulty in terms of putting foreclosed homes back on the market. Part of the challenge is pushing banks to work with CDCs and government to identify properties and come up with creative solutions so those properties don’t go abandoned. When abandonment occurs, that opens up the block to drug activity and more gang activity. It becomes a higher crime neighborhood and that’s really destabilizing. We need the private sector to give us the tools and information and work with CDCs and government to turn that into an opportunity for stable housing. Is Bethel participating in the federal government’s Neighborhood Stabilization Program (designed to assist cities to put foreclosed property back into productive re-use)? Yes, we are an approved developer for NSP (Neighborhood Stabilization Program) dollars in the first round of funding (“NSP-1”) and we have are part of a consortium with the Chicago Rehab Network (CRN) that has submitted a proposal in the “NSP-2” round. Are there specific areas where Chicago CDCs and community organizations need to focus their efforts to better develop capacity? This is a tough sector in terms of keeping people and building capacity. One big thing is the human capacity need for CDCs to hire and retain talent. We are always getting picked off— either by government or the private sector. The life cycle of a new person in the CDC world is very short. That’s one, a human capacity need. Two, there is a financial capacity need. We need flexible financial products that we can use to do things like complement Neighborhood Stabilization Plan funding to invest in small business where banks have basically pulled out and are retrenching. Somebody needs to fill the gap. CDCs can do that, but we need the financial and investment support to make that happen. One area of considerable discussion in the CDC community has been the issue of scale. Scale can boost organizational capacity, but can also mean larger organizations that may become disconnected from the communities they serve. Given Bethel’s large size, how has Bethel sought to build scale while retaining community responsiveness? That’s what we talk about all of the time. I think the way we are handling it is two-fold. One, we’ve got to be smaller. That’s what we’ve been doing over the past three years. We need to get to core operations in terms of programming that allows us to be less about service and more about community development. I think the environment has evolved so that we have enough partners that we can hand off a lot of the programming. In the past we were the only ones who could do it. The big thing that has changed is that we have more partners in the community now that we can work with. So you can be more nimble and creative – other organizations and institutions and churches can pick up the weight and be just as effective and that allows the CDC to be really creative. We are at a size where I feel we can do work that no one is doing – like financial services, like the elder care programming we are doing—and at the same time be responsive to community needs like the foreclosure crisis and drug and violence activity in the neighborhoods. It requires a strong administrative staff that can really manage well and then you need a great program staff that knows and is engaged with the community. That takes times to build up. I believe there should be a stage in the CDC life cycle where it needs to get smaller in order to be more effective and focus on those things CDCs bring that no one else does. And that is the innovation piece – bringing solutions to communities that haven’t been thought of or created for residents to have access to resources that improve their life. CDCs can get too big to be relevant. That’s the tension that every CDC should have and it is a healthy tension to have. Coming out of our strategic plan retreat in September, we identified five areas. The first is around continuing to support our elder community. In this community, you are either really young or really old. Our elder community is growing -- it needs more support so residents can stay in the community. The second is around youth – making sure youth have access and opportunity to resources that make them competitive in the workplace as well as education. The third area is building resident leadership – identifying leaders — youth, elders and everyone in between—really developing the next wave of leaders. The fourth is around policy and that involves work to develop policies that benefit residents and community; for example, there is a lot of work done with formerly incarcerated individuals around expunging of records – that needs to be policy that is engaged with the community. And the final area is around stewardship of the community’s assets as well as the organization’s assets. We need to make sure we are highlighting the effectiveness of our programming and the community’s efforts to improve the community – research, analysis, and promotion of what works well and what needs to happen to improve the community. Those are the five directives we are going to be working under beginning in 2010. If you had to choose three accomplishments of Bethel New Life’s work that you are most proud of, what would be? We’re most proud of the jobs we have been able to create both internally as an organization and externally. Number two is our work around elders in the community in providing really excellent support. The third area would be around our work in bringing financial resources to the community in a way that is affordable and accessible and turning those into tangible assets — whether it be housing or business – and thereby move people forward. Those are the top-three. That’s Bethel’s legacy to date. There is a lot more we are working on and can do, but I point to those as we’ve really increased the community’s quality of life in those areas. For more information, please see the website of Bethel New Life at www.bethelnewlife.org.